Smart Endless Aisle. 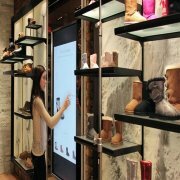 Interactive Retail Displays. Bring your vast inventory to customer as digital presentation. Expand your physical storage into endless aisle to display more and sell more. Compress massive products data into a device and extend your limited storage space to endless aisle. Make every and each product reachable in the virtual display. Strategically display products physically and virtually to optimize store space. Let our AI powered digital assistant to engage with customer and take orders when you are not available. You can sell 24/7. 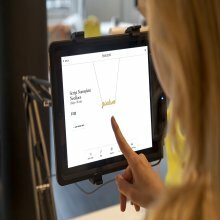 Your sales team can work collaboratively with AI powered digital assistant Zelina to offer an impressive shopping experience and wonderful customer services. Seamless integration and synchronization. Our app supports Shopify and Magento platform. You can sync all your products from online store to catalog maker in one click and create stunning catalog automatically in one minute. Increase work efficiency. Say no to the complexity and time-consuming process of creating marketing collateral. 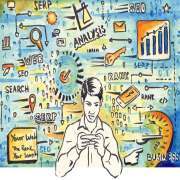 Let our app to ease the burden of you marketing team in a cost-effective way. Merge online with offline. Don’t set the limitation of your business. 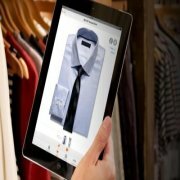 We offer you a chance to dominate online as well as offline retail industry by bringing your online store into offline mode . Give them what they want. 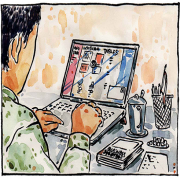 Be able to show your customers what they are looking in virtual presentation. Allow customer to purchase products that are in stock as well as virtually available. Shop the way they are used to. Let your customer place order while browsing catalog in any device and close the deal in one minute. There is no difference from shopping online. Place order in one click. Cut all the tedious process off and allow customer to order immediately when they see something they really like. Excellent shopping experience. Offer a smooth and impressive shopping experience form the very beginning to the end of the deal. Make them want to shop here again. Empower your sales associates with comprehensive knowledge of your products. With Kiosk Endless Aisle , your sales associates can easily access to latest product information and serve customer in the best way. Never let customer down. Your sales associates are able to let customer order what they are looking for whether it’s in store or not. More variants mean more money. If your customers don’t like the color, just show them the same style in another color. Give your sales associates endless commission opportunity to drive sales. Never give up cutomer to competitors. When a product is not in stock, show your customer the virtual aisles and close the sale on the spot. Do not give any customer up to competitors. Tell a better story. Brand your business in an innovative way and draw customers into your store with powerful signage feature wall. Make sure your customer stay engaged with memorable, digital experiences throughout your store. Organize content easily. It’s easy to edit content and update in seconds. There are various layouts, lifestyle pages and marketing collateral you can choose to display your products, all of which require no hard skills. Encourage people to become loyal customers. Deliver the message to your customer and let them remember the irreplaceable things that you have to offer. Make your brand stay top of mind when your customer is about to shop. Excel at content marketing. Show your customers a dynamic presentation of your brand. Use high resolution images and customized catalog to stand out in the first place. Attract and interact. Our digital shopping assistant help you engage with customer proactively and offer special deal under certain circumstances. 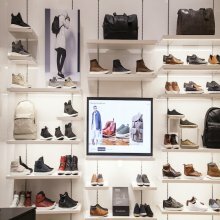 Impress your customers with the combination of in-store display and digital interaction. Optimize retail space. Your amount of products no longer have to be restricted to the physical shelf space. Expend your collections and organize them using our PIM in any device. Let your retail catalog make up for the limit of physical shelf storage. ★ Attract customer at first sight and drive traffic into your store; ★ More user-friendly and interective than store website; ★ Showcase products in a dynamic way as a added value to your existing merchadising. 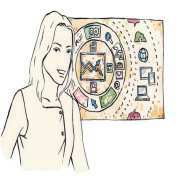 Arm your sales team with the right technology and let them be your brand ambassadors. ★ Be able to show exactly what customers want immediately in mobile devices; ★ Deliver a sense of professional confidence; ★ Never turn customers down even if the item is not on display. Turn the frustration of waiting into a pleasant experience. This could be the beginning of the next transaction. ★ Entertain your customers while waiting in the line; ★ Create the needs by allowing customers to browse recommended product catalog before they leave the store. 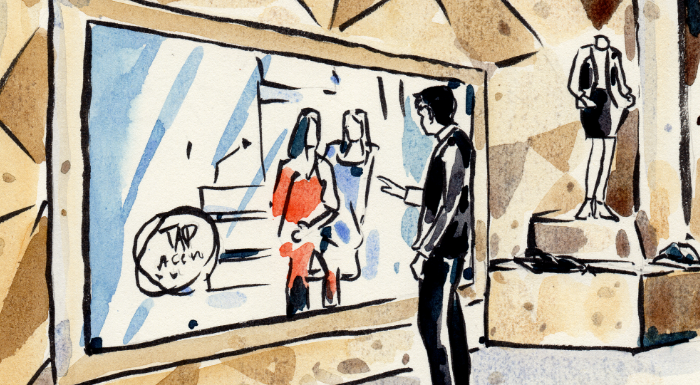 Please your customers with in-store content that speaks to your digitally-driven customers. ★ Tell the story of your brand and stay recognized by customers; ★ Communicate consistently with online customers; ★ Stay up to date and easily promote latest collections. 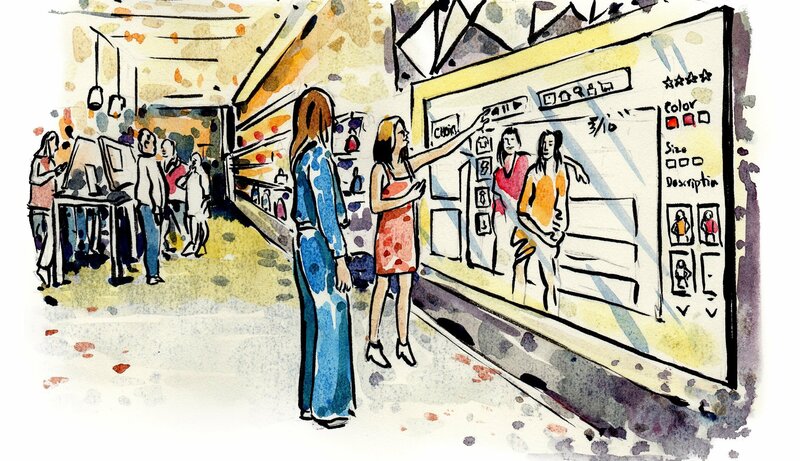 Give your customers a reason to fall in love with the shopping experience in your store. ★ Let your customers take the control of their purchasing decisions; ★ Perfect for customers who are into high-tech lifestyle; ★ Save you human resource and operating costs. 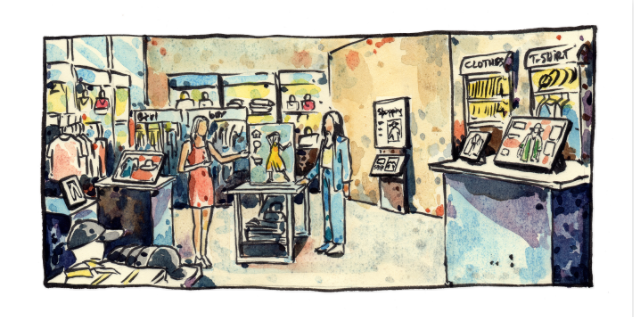 Shoppable Kiosk catalog can sell for you even when your store is closed. ★ Dynamic display will catch people's eyes when they walk by. ★ Allow customer to browse collections and submit an order during after hours. ★ Keep your business running all day round to generate more revenue. Show products in multi-angle images and give your customer access to detailed product description. 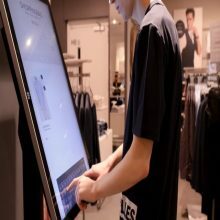 Customer can browse by collections and interact with digital shopping assistant in Kiosk mode. Highlight highly recommended products based on customer's viewing history. 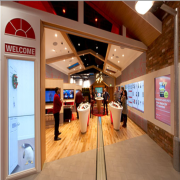 Target at right people for right products and create an exclusive experience for customers. Create your personalized ecatalog in minutes. Use it not only for marketing, but also as a branding tool to make your business reconganizable. Set customized smart pop-ups for special events and generate new leads. Offer right deal to right customer at right time. Trainable AI chatbot Zelina can engage with customers, collect emails, capture leads and take orders when you are away. 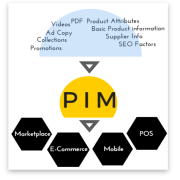 ZINation PIM System allows you to edit and organize product information efficiently. 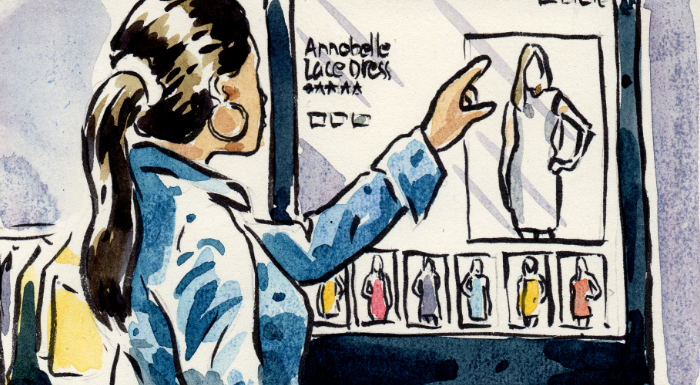 All changes can be reflected immediately in catalogs. 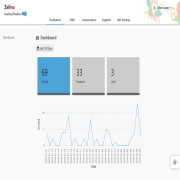 ZINation combines CRM system with Zelina to document customer information and activities, provide customer segmentation and analysis insights to help you sell better. 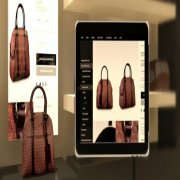 Instant synchronization between online store and Kiosk catalog, enabling you to be agile with pricing and content. Monitor customer's interactive touch and session metrics and provide insights to help you sell smarter. Catalog can be presented as e-version or downloaded as PDF for printing. Ensure your online/offline retail working seamlessly to make your business more powerful. 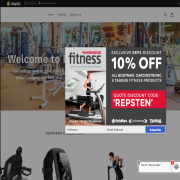 Customer can add items to the shopping cart while viewing the catalog. Customers are going to love this convenient and efficient shopping experience. Copyright © 2016 ZINation. All rights reserved.